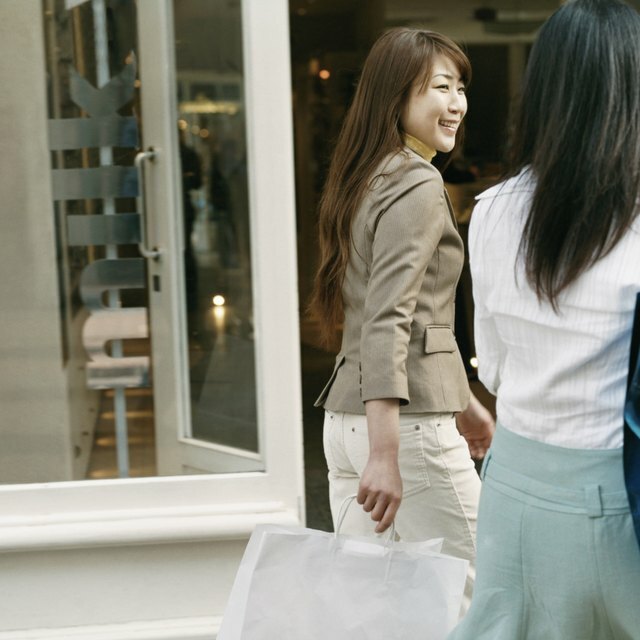 What Is a Retail Marketing Mix? With the high level of competition in the retail industry, marketing is one of the most important business concerns of a retail outlet. As you plan a marketing campaign for your retail store, consider the problems that can arise from competitor and consumer behavior. By anticipating issues, you can design a more streamlined, effective marketing plan. One of the biggest challenges in retail marketing is competition from other retail outlets. Often, various stores offer the same products, and individual stores must produce marketing materials that convince consumers to buy from them instead of a competitor. When a retail store plans its marketing, it must work to find new and innovative ideas that put its products in the best light, emphasize the selection, and persuade customers that prices are reasonable. Retail outlets must constantly keep abreast of tactics and promotions used by other local stores to stay competitive in a constantly changing market. With the increasing use of the Internet on personal computers and mobile phones, location-based retail outlets have to work harder to get customers into the store. When marketing a retail store, your advertisements and materials must offer customers a greater incentive to spend the gas money and time to come to your store as opposed to ordering their products online. Because the Internet is constantly available to consumers, retail stores often double their marketing efforts to ensure that their name and products are in front of customers as often as possible. Many retail areas have a high product turnover rate, which means that advertisements and promotional materials must keep up. Stores must change the design and content of their websites, circulars and catalogs to reflect the changes in inventory. They must also work to keep their customers and staff informed about new products and features, and deal with confusion and irritation when discontinuing a popular product or experiencing changes in quality. Retail marketing is a fast-paced, continuously changing process that requires a considerable investment of time and money. What Determines Retail Shelf Positioning? Because retail stores see both buying and non-buying customers, their marketing efforts carry a heavy weight – to convince shoppers to buy. Both in-store and out-of-store marketing campaigns must keep up with the needs of consumers and speak to their preferences to get them to convert from mere browsers to paying customers. To avoid falling behind competitors, retail outlets must stay on top of their marketing efforts and view them as an important investment in business success. By hiring a dedicated marketing firm or a team focused solely on keeping on top of product changes, competitor strategies, and customer attitudes, a retail outlet can avoid losing businesses because of low awareness.